A NOTIFICATION No. SO (A-I) 1-31/2008 Government of the Punjab school education department Dated Lahore the 01' March 2018 has issued regarding Public Holiday Today Muslim Eid Milad An-Nabi 2018 Notification Download. 8. Eid-ut-Azha (10-Zil Haj)*1439 A.H. The Holiday for Independence Day will vacation, however, this Holiday will be Educational Institutions in a befitting manner. 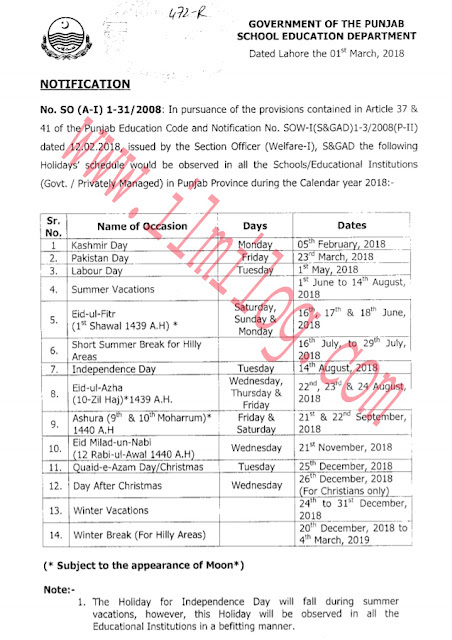 Fall during summer observed in all the Educational Institutions will observe local holidays as notified by the relevant district/local authorities from time to time. 3. All Educational Institutions (Government as well as Privately Managed) will strictly observe this schedule without any deviation therefrom. 4. Winter break for hilly areas may be adjusted by the DPI (SE), Punjab keeping in view the prevailing weather conditions, in consultation with Chairman, BISE, and Rawalpindi. 5. 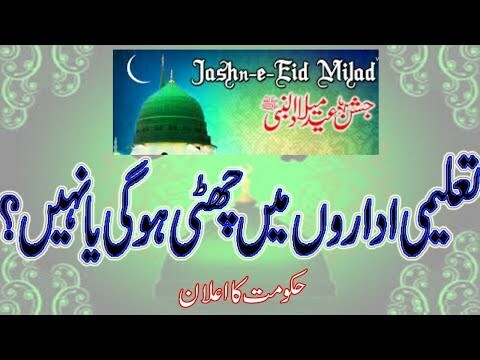 Eid Milad-un-Nabi (PBUH), 1440 A.H and Kashmir Day have already been observed as Public Holidays. 1. All Divisional Commissioners in the Punjab 2. All Deputy Commissioners in the Punjab 3. The Accountant General Punjab, Lahore 4. The Director of Public Instruction (SE & EE), Punjab, Lahore with the request to circulate it among all the CEOs, District Education Authorities, in Punjab 5. The Project Director, PMIU, Lahore 6. All Chairmen of BISEs in the Punjab 7. The Director-General Public Relations, Punjab, Lahore with the request to release this Notification to the press/TV & Radio 8. 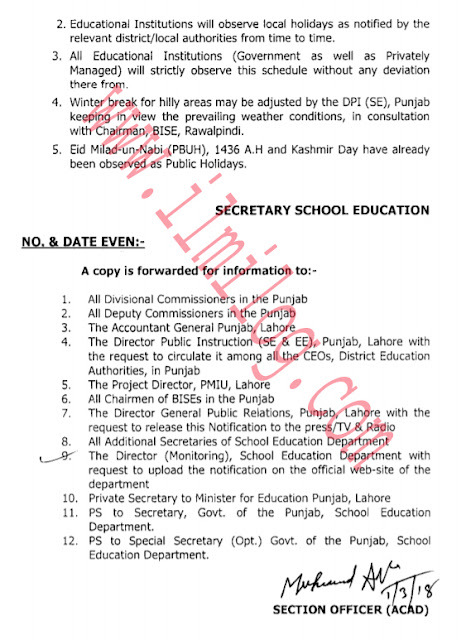 All Additional Secretaries of School Education Department the Director (Monitoring), School Education Department with a request to upload the notification on the official website of the department 10. Private Secretary to Minister for Education Punjab, Lahore I1. PS to Secretary, Govt. 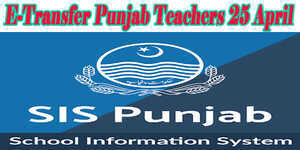 of the Punjab, School Education Department. 12. PS to Special Secretary (Opt.) Govt. of the Punjab, School Education Department.